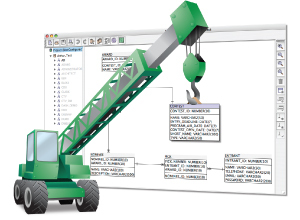 The SQL Power Architect data modeling tool was created by data warehouse designers and has many unique features geared specifically for the data warehouse architect. It allows users to reverse-engineer existing databases, perform data profiling on source databases, and auto-generate ETL metadata. 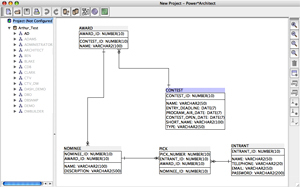 Whether you are building a Data Warehouse or using data models to communicate business rules, SQL Power Architect will facilitate and automate your data modeling efforts. 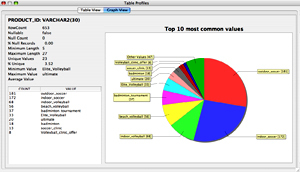 The tree view makes it easy to navigate through the database. Drag schemas or tables into the playpen, then adjust the layout manually or with the Auto-Layout function. The Data Profiling feature is useful for exploring new or unfamiliar databases... you can see information about the size of the data in each column, maximum & minimum values, frequency distribution of values in a column and more. SQL Power Architect can also open multiple source databases concurrently, even if they are from competing database vendors. Another key feature of the SQL Power Architect that sets it apart from other data modeling tools, is that it remembers the origin of each column and is capable of automatically generating the source-to-target data mappings. Whether you're building or maintaining your Data Warehouse data model, SQL Power Architect will provide you a complete view of all required database structures and will expedite every aspect of your data warehouse design. To request changes or feature additions to SQL Power Architect, please visit our Forum.